#147) Vintage Trouble: Another voice of Shifting Baselines catches fire! It’s been nearly a decade since we began Shifting Baselines. As expected, many of our early performers have gone on to become substantial stars in film and music. Here’s another great one. JELLYFISH AND BACTERIA: Long before Ty Taylor was busy leading one of the hottest bands this year (opening for Bon Jovi and Rhianna in the U.K.) he was singing his heart out for the oceans and Shifting Baselines. Now our longtime good friend Ty Taylor (my film school friends and I got to know him more than a decade ago when he was in the band Dakota Moon) and his newly formed band, Vintage Trouble, are exploding in Europe. They formed the band only last year. In April they appeared in the UK on the show Jools Holland (which is huge over there) and one of their songs went to #5 in the UK. Then they opened for Bon Jovi and Rhianna, and now their first CD came out last week. But 7 years ago I managed to talk Ty into what I’m certain will someday prove to be his most important piece of work as he sang half the vocals on our futuristic ocean song, “Jellyfish and Bacteria” (that’s what you get when the ocean is inferi-yah) with amigo Danny Cistone. As goofy as the song is, it sadly continues to become more true each year as you read about dead zones and jellyfish outbreaks. 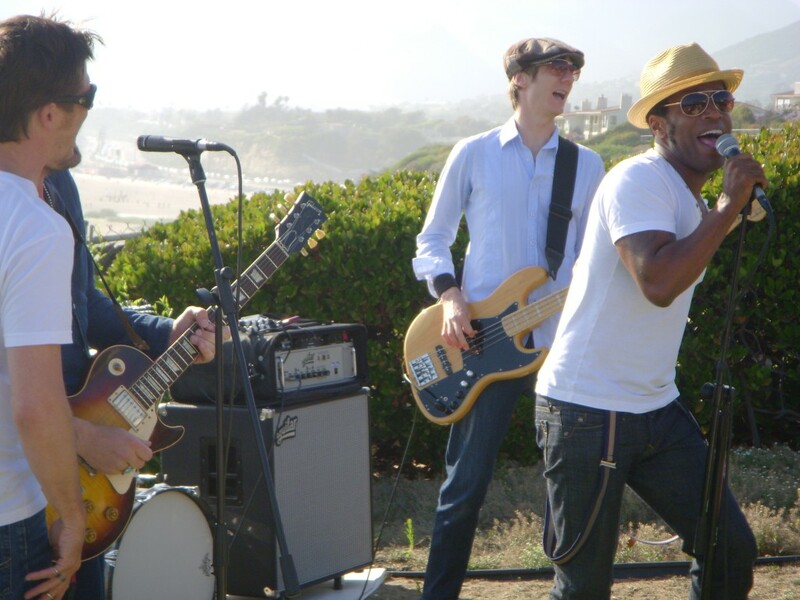 In the meanwhile, watch for Vintage Trouble this fall when they return to the U.S. and begin touring. And if you want a SOLID sample of how great they are, just watch this music video of Ty singing, “Nancy Lee” — you’ll understand why they’re on fire right now in Europe — it’s schmokin’! Ty Taylor last year as Vintage Trouble performed in my backyard for my buddy Jason Ensler’s birthday.